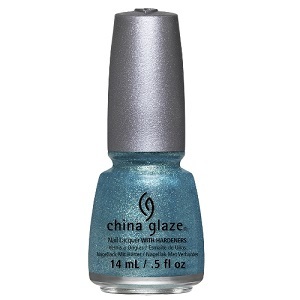 China Glaze Textured Nail Polish, Sea Horsin' Around, 1288, .50 fl. oz. Turquoise/aqua blue textured nail color with metallic turquoise blue and gold micro-shimmer.